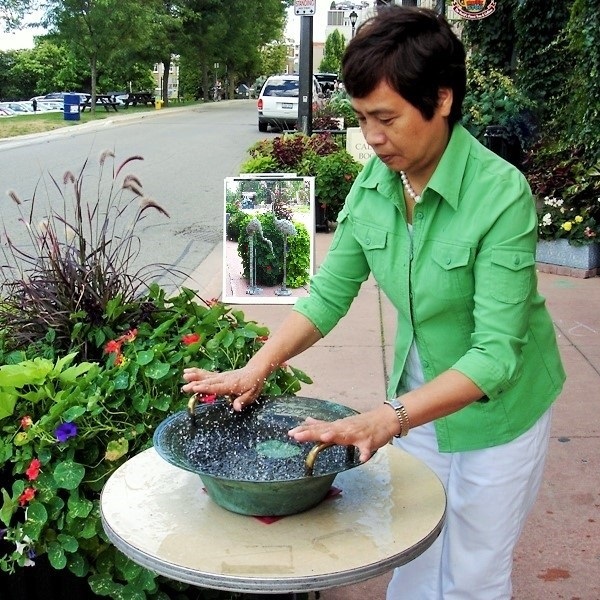 The dancing water bowl, true to its name, will make water shoot up in droplets like a mini fountain. 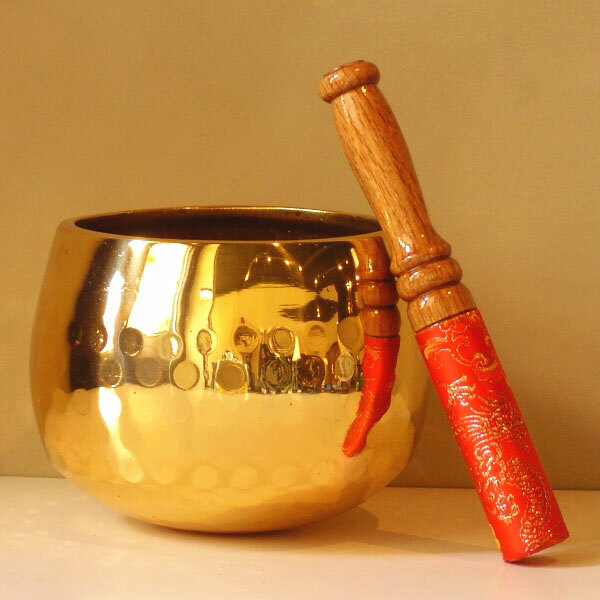 When the handles are rubbed in a rhythmic fashion, it creates vibrations which travel to the base of the bowl thus sending water dancing upwards. This item is great for the garden as a bird feeder, planter or use it indoors with floating candles. The inside of the bowl is decorated with a dragon motif. 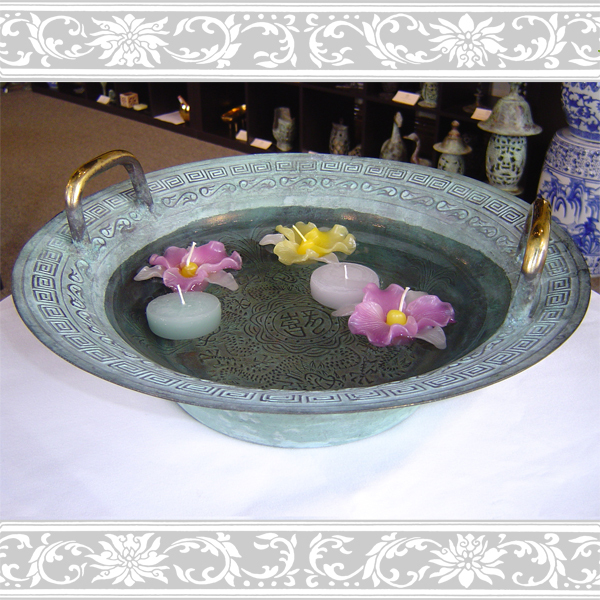 This item is made of 100% brass and is available in two finishes with polished handles. Our oxidized brass ornament will weather beautifully outdoors.